Patrick Smith, the author of Warhol: Conversations about the Artist and Andy Warhol's Art and Films has denied that the alleged childhood sketch by Warhol of Rudy Vallée is by Warhol. The sketch is due to be exhibited at the RWA in Bristol in July. The original press release for the event can be found here. 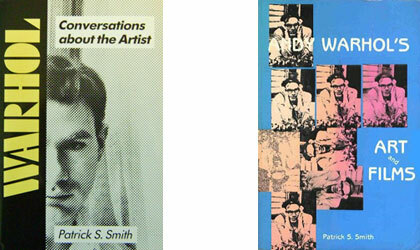 Smith's books are considered the 'bibles' of Warhol research. They are cited extensively in the Warhol Foundation's catalogue raisonné, Warhol biographies and scholarly books about the artist. "I have been studying the work of Andy Warhol since 1978 when I started my dissertation on him, leading to my two books about his art and films. For many years now, I have been using the archives of the Warhol Museum in Pittsburgh for a third book, based on my findings there. During all of this time, I have never seen any early drawing by Warhol that even remotely looks like the supposed "Warhol" sketch of Vallee, nor have I ever seen an early authentic signature that even remotely appears like the one on the sketch. I fully support Paul Warhola, who should know more than any living person today, that the Vallee sketch is NOT by his brother. I hope that this obvious FAKE be withdrawn soon from public view and that it never be exhibited as being by Warhol."